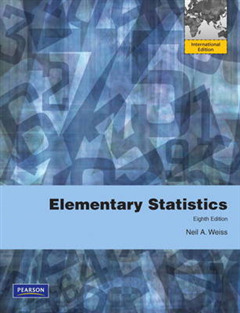 Weiss's Elementary Statistics, Eighth Edition is the ideal textbook for introductory statistics classes that emphasize statistical reasoning and critical thinking. Comprehensive in its coverage, Weiss's meticulous style offers careful, detailed explanations to ease the learning process. With more than 2,000 exercises, most using real data, there is a wealth of opportunity for students to apply their knowledge and develop statistical literacy. The text is suitable for a one-semester course. 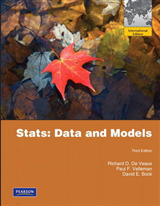 Elementary Statistics, Eighth Edition, contains parallel presentation of critical-value and p-value approaches to hypothesis testing. This unique design allows both the flexibility to concentrate on one approach or the opportunity for greater depth in comparing the two. 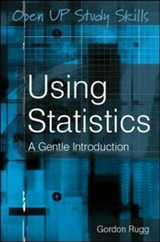 This edition of Elementary Statistics continues the book's tradition of being on the cutting edge of statistical pedagogy, technology, and data analysis. 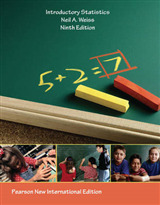 It includes hundreds of new and updated exercises with real data from journals, magazines, newspapers, and Web sites. 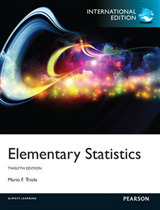 Elementary Statistics, Eighth Edition, takes a data-driven approach with more than 700 data sets documented by several hundred data sources. 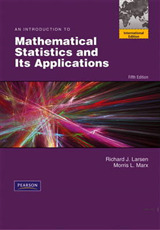 Datasets and other resources where applicable for this book are available here.